Did you know that you could have fun, travel and learn a part of Croatian history all at the same time? Well, you can!! 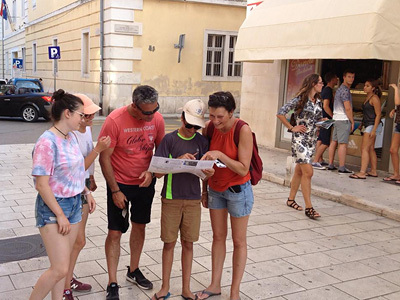 With our treasure hunt - heritage pursuits: you can sail through Croatian history by playing a game that is organized by licensed guides. 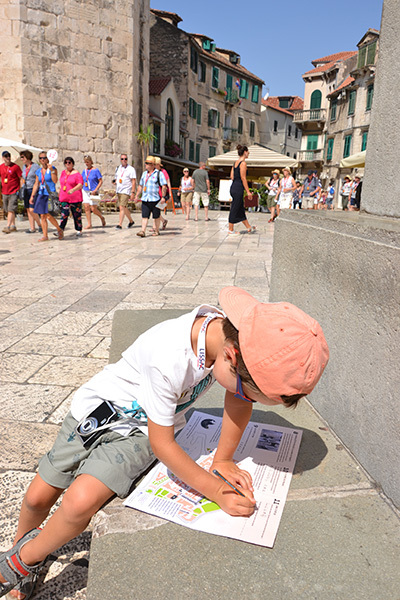 By solving the puzzles in Zadar, Split or Nin, you will discover the local heritage that is covered under UNESCO. 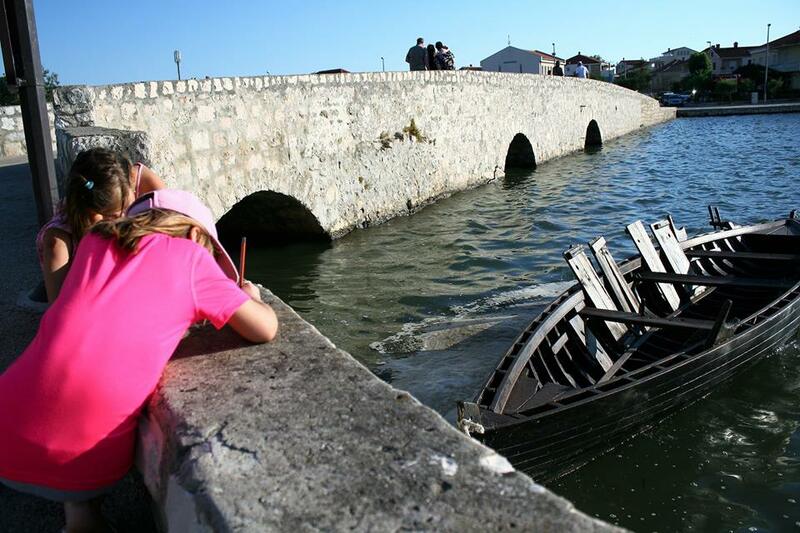 The cities that you will be visiting are culturally, historically and architecturally significant for Croatia. 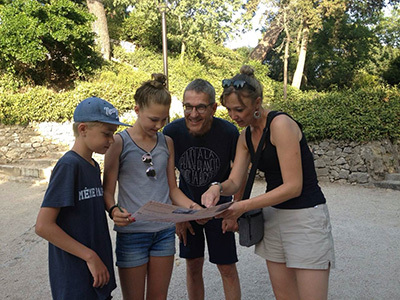 This little excursion is suitable for families, individuals, couples and tourists who want to see the city from a different perspective. Split was not originally intended to be a city, instead, it was supposed to be the palace of the Roman Emperor Diocletian. 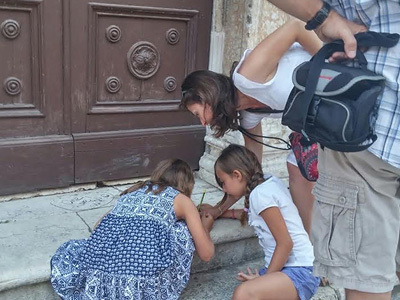 In the 7th century, Croatians began moving into the emperor’s palace and from then the inhabitants of Split live in it, in its corridors, in its dining room, in the walkways. Magical, don’t you think? 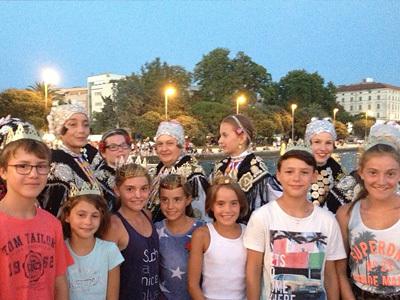 Zadar is a true Roman city. This town, in Northern Dalmatia, still preserves the ancient organization of streets. 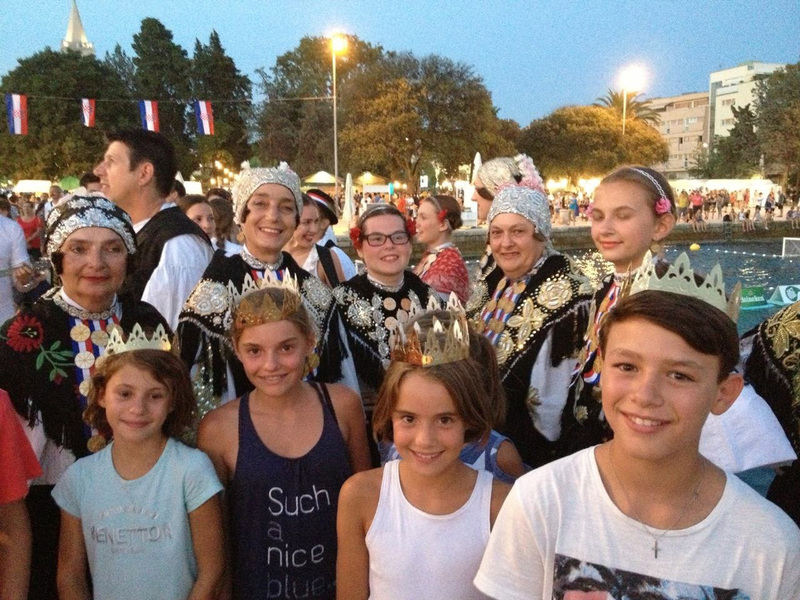 In Zadar, you will enter the life of a queen: you will find out where she lived, what she had ordered to be made, where she hid her crown for traveling (yes, you read that correctly, it is not an ordinary crown – it was her crown for traveling. Nin is a small city worth visiting. This miniature city is actually the cradle of Croatian history – also known as the Croatian Bethlehem. 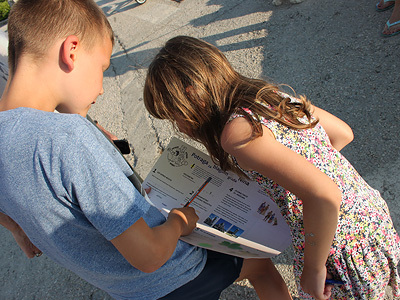 While visiting Nin, you will have the chance to learn our ancient script – Glagolitic! Want more information about our activities?! Do not hesitate to contact us. 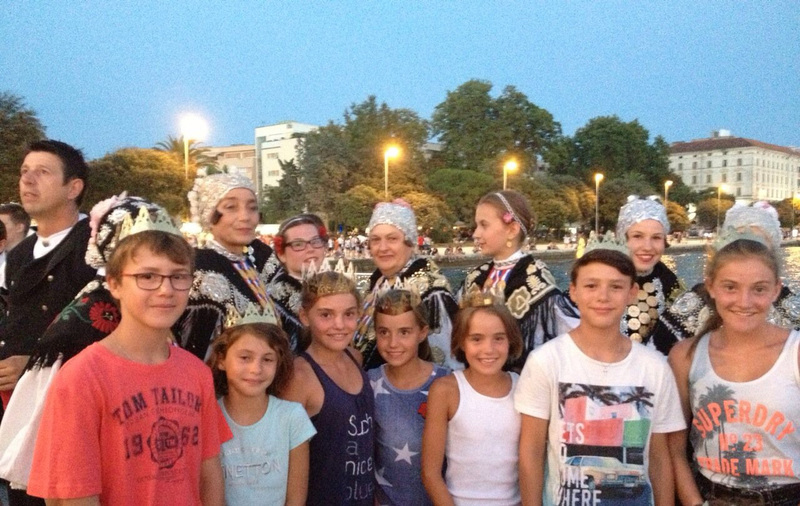 Split is a fantastic city. Can anyone else in the world, other than people from Split, brag about living in a Roman palace?! The palace was built for the Emperor Diocletian in which he was expected to live after his abdication in the year 305. This Roman masterpiece is, of course, under the protection of world heritage, UNESCO. 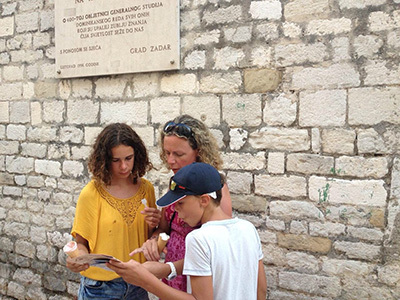 „By hunting down the heritage of Split“ you will pass through all 4 of the entrances to the palace, its cellars, the emperor’s residence (his main entrance, dining room, along with his grace which he had built right next to his apartment). 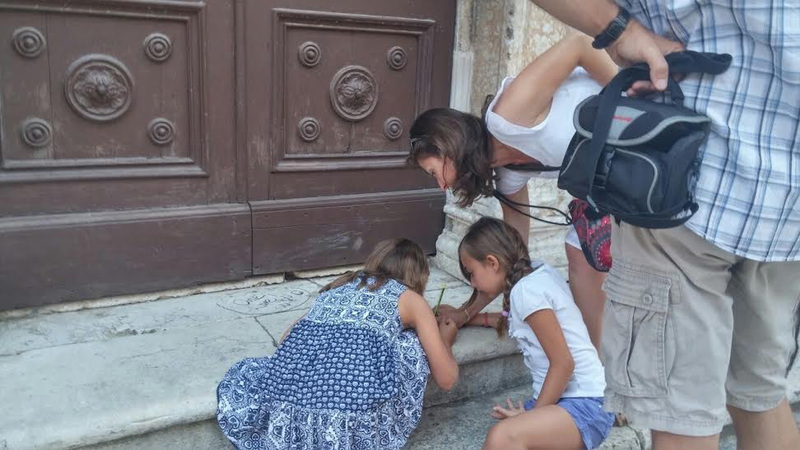 You will also find out which gods the Romans worshiped as well as passing in front of beautiful Croatian palaces from the 14th century. Ok, we won’t be revealing any more details! 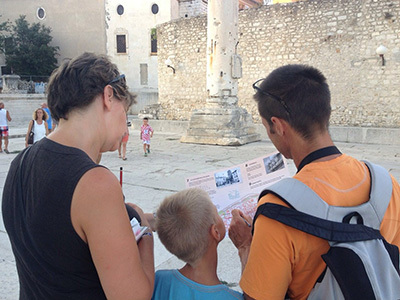 Come visit Split with us and discover the rich history of the city! We guarantee that you will love this type of sightseeing and will be looking for more! 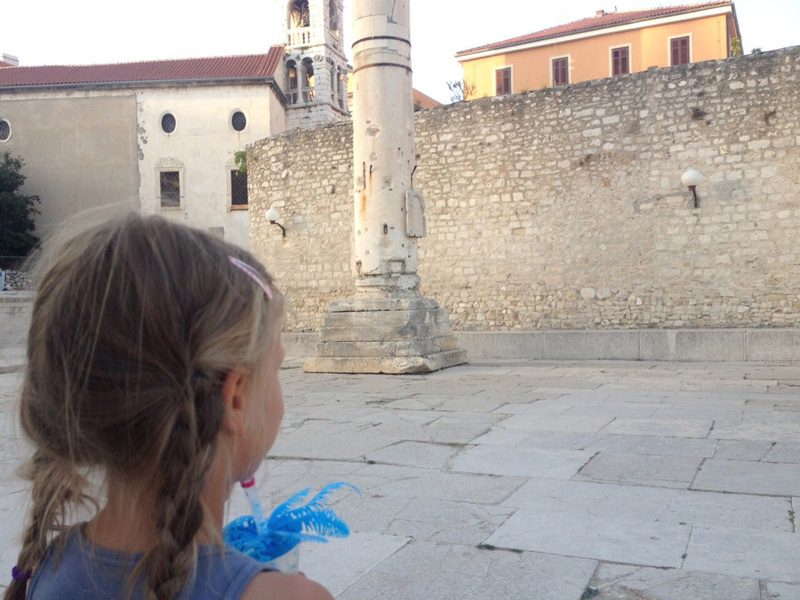 Zadar, unalike Split, was built to be a Roman city and it still preserves the appearance of a true Roman city. The main street has been the main street for 1700 years! Here you will discover a Roman forum and his temple. You will also discover the story of a queen: where she lived, what she had ordered to be made and why she spent so much money for this masterpiece to be created. We will tell you where she often walked and why! 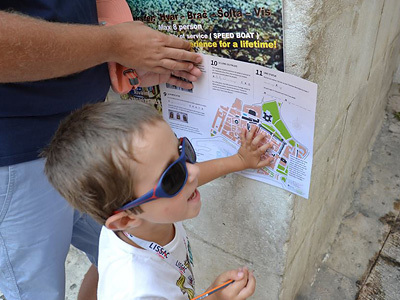 On July 01, 2017, Zadar was admitted to UNESCO’s heritage. The title was assigned to the city because of its ramparts – Venetian fortification. Why did the Venetians built the walls around Zadar and against whom? That is what we will reveal! 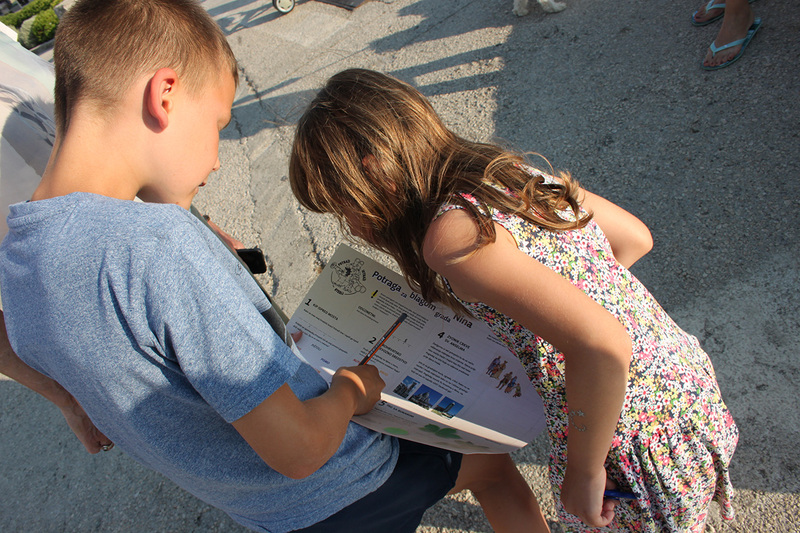 One of your tasks, among other things, will be to find the lions around the city! Are you ready for this? Nin is a small city, which today has fewer than 3000 inhabitants. Nin is a special city because it is hidden in the shallow lagoon. This little islet, however, has a large history story to be told. In Nin, other than history, you will also discover a specific flora and fauna that resides in the region. It is true that the wind, Bora, does not allow all plants to grow on this territory, and with us, you will find out why. We will reveal why the Romans that were in this part of Croatia were so rich. 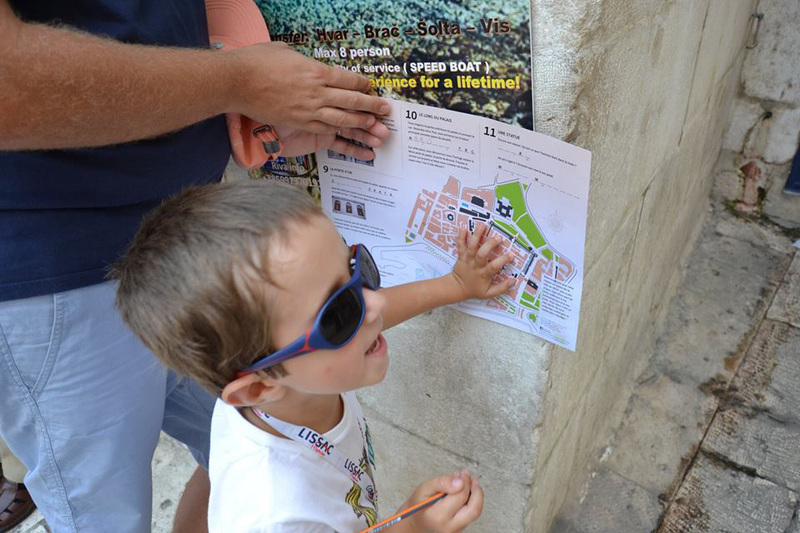 You will discover the buildings that the Croatians had built and their specificities (among other things, the Church of the Holy cross, the solar clock and the calendar that hides). 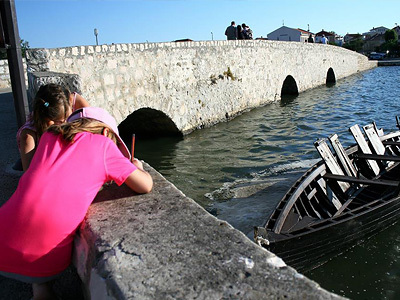 You will also discover which boats the Croatians used in war in the 9th century. 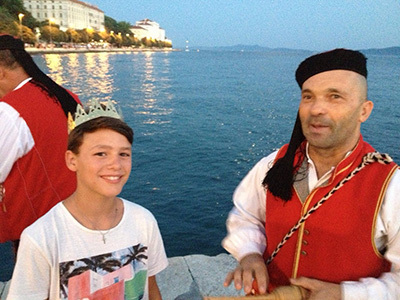 Nin is interesting because Croatian kings were crowned here, hence, why it is also called the Croatian Royal City! Place of departure: : in Nin, different from the other cities, there is no gathering place. You will not be meeting the guide in Nin. We send you the treasure hunt by mail, to your accommodation, or by e-mail. 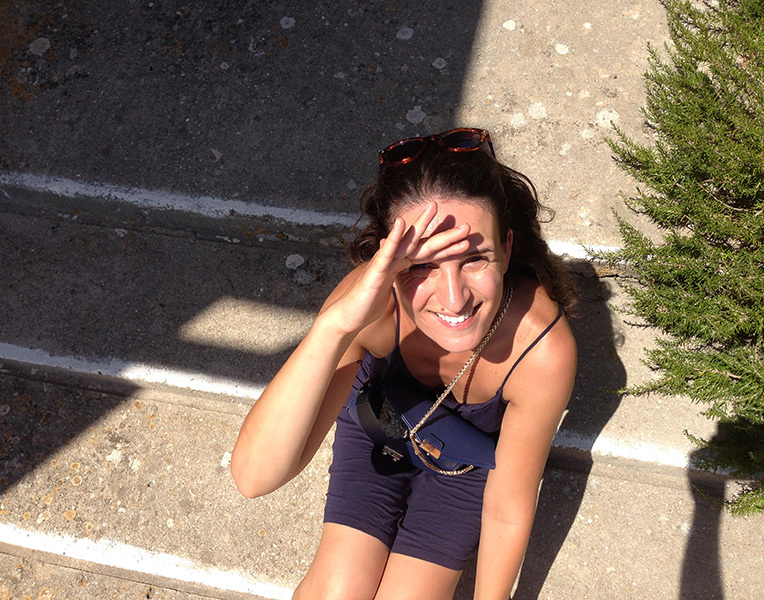 Valentina Matešić, mother of two children (for now :) ), who likes to discover new countries, cities, regions as well as new stories. 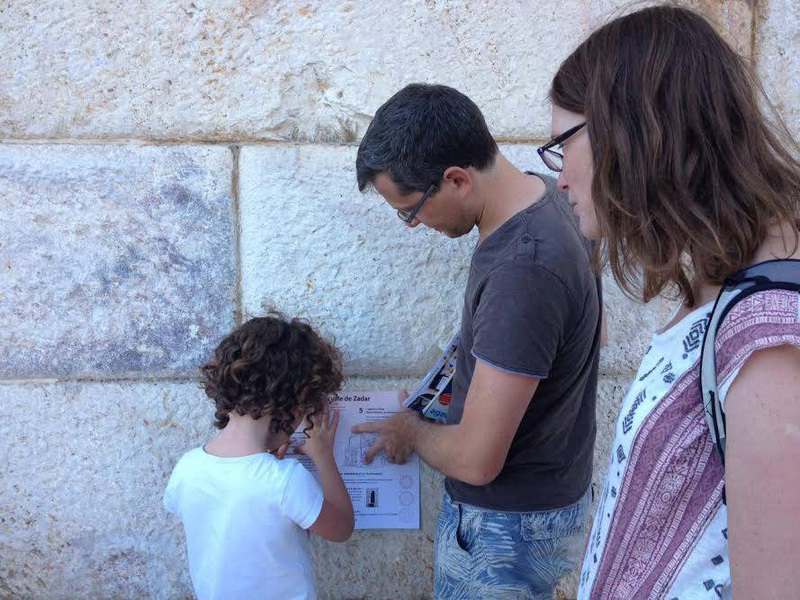 After my daughters were born, Roza (2011) and Lea (2012), I continued to travel, but this time with my family. Some will say that it becomes a lot more complicated: and that is true, especially if you cannot find activities that interest each one of you – activities for the whole family. By profession, I am a teacher and tourist guide and I noticed that it is very hard to find activities that the whole family would be interested in. And that is how I quickly came up with the idea for the TREASURE HUNT – HERITAGE PURSUIT. In Zadar (my place of residence), I often came across parents holding some type of brochure in their hand and trying to briefly describe what he had just read to the rest of the family, who is often tired and completely uninterested in such a passive sightseeing tour. 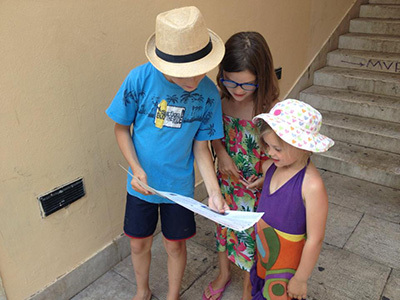 Here we give you the opportunity to “raise your head” so that both YOU and YOUR CHILDREN can discover the beauties of this country as well as the extremely rich history. We will tell you what the others won’t!